Business Advantage is the course for tomorrow's business leaders. Based on a unique syllabus that combines current business theory, business in practice and business skills - all presented using authentic, expert input - the course contains specific business-related outcomes that make the material highly relevant and engaging. 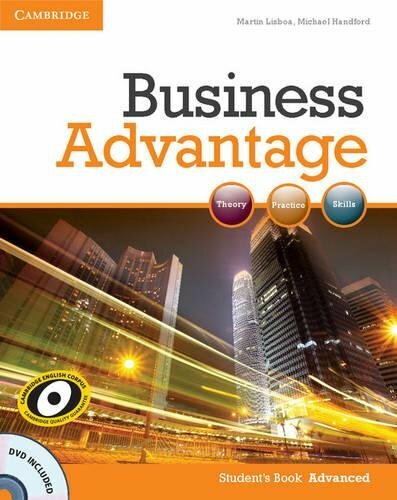 The Business Advantage Advanced level books include input from the following leading institutions and organisations: Alibaba, Dyson, Piaggio, and The Cambridge Judge Business School. The Student's Book comes with a free DVD of case studies.